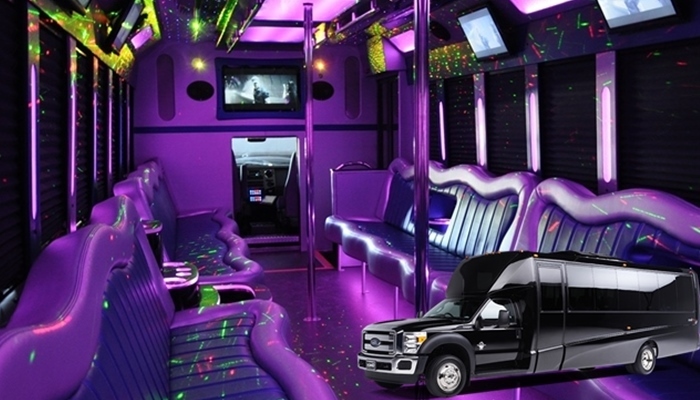 Features shiny Exterior, Dance Pole, Surround Sound Audio System, Wrap Around Leather Seating and Wet Bar. 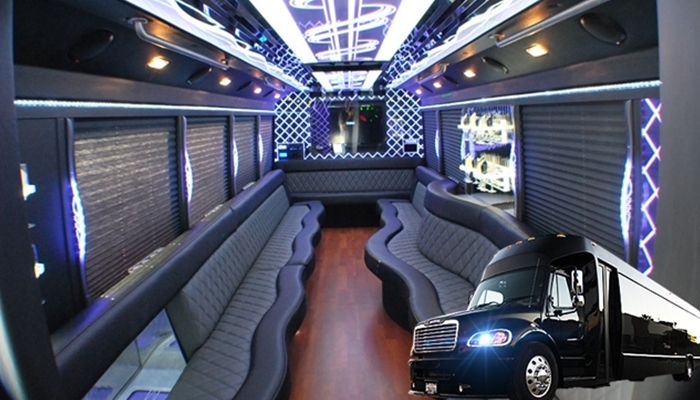 Luxury Party Bus with LED lighting, sound system, Removable Dance Pole, custom leather wraparound seating & iPod dock. 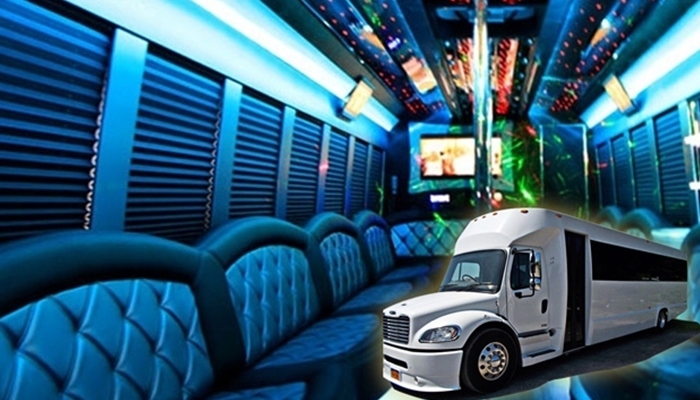 Premier party bus with dance platform, climate control system, Disco Lights, Back-Lit ceiling, LED Lights,sound system, TV's and restroom on board. 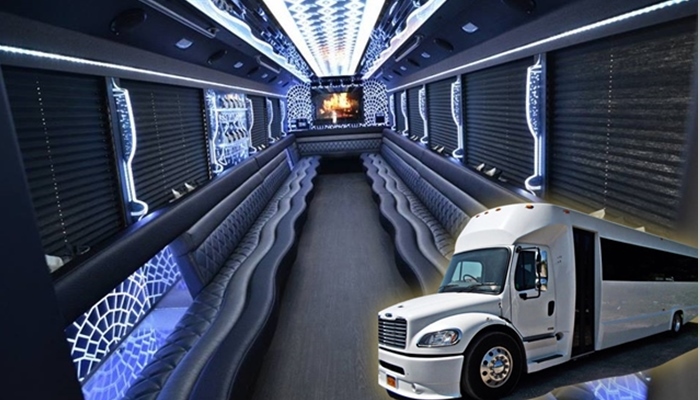 Features laser light show, Surround System, wraparound seating, Cup Holders, lasers, strobes, hardwood floors and Climate control system. 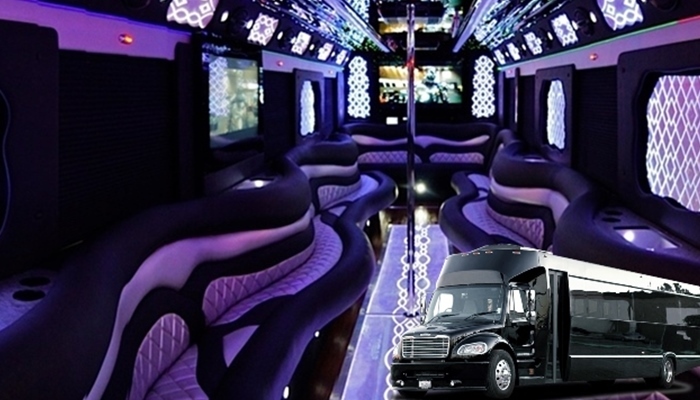 This Prom Party Bus has the wrap around leather seating, LED TV's, Wet Bars, Climate control, Dance Pole, Fiber Optics Lighting, wood flooring and with restroom like the chater buses. 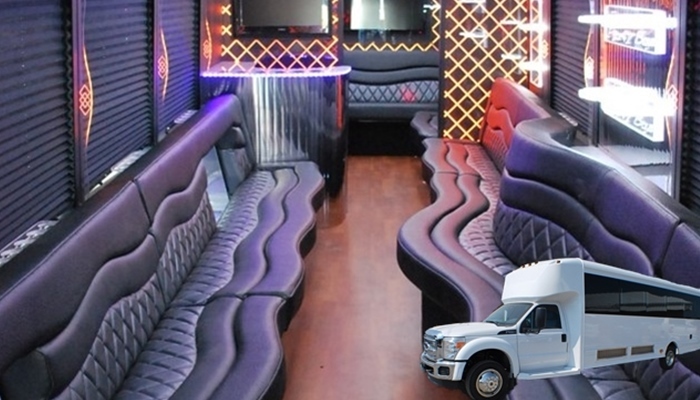 A Comfortable Wedding Limo Bus Leather Seating, Wood flooring, Mirrored ceiling reflects the beautiful lighting, optional dancing pole and equipped with a bathroom. Copyright © 2017 Chicago Limo. All Rights Reserved.